Football in person is sweet, but sometimes football on TV is sweeter because you can flip from game to game. 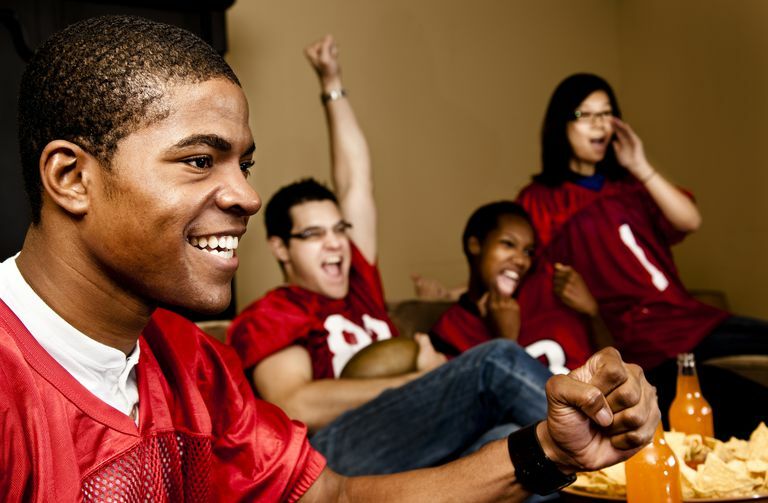 Whether you watch over-the-air TV, use a streaming device like a Chromecast or a Roku, or just enjoy catching a game on your iPad or smartphone while you're out, the 2019 media market guarantees that you'll always be able to enjoy your gridiron fix. Easily follow your favorite team. Watch from anywhere in the U.S.
Can't watch multiple games at once. In the United States, DirecTV enjoys exclusive rights to sell NFL Sunday Ticket. You must subscribe to DirecTV to get this package. In Canada and other places, Sunday Ticket is available on satellite or cable. This service includes every out-of-market non-nationally televised NFL game. Subscribers also obtain access to goodies like a Game Tracker with stats and the pre-game shows. You may be able to get this service without a DirecTV subscription if you live in an area not served by a DirecTV distributor or in a building where a dish cannot be installed. Get latest sports news and updates. Offers some free streaming options. Sports commentary not as good as other networks. The NFL Network is a 24-hour cable and satellite channel devoted to nothing but the National Football League. The NFL Network is the channel to watch if you love preseason football. In November, the NFL Network televises a weekly game on Thursday and Saturday nights. NFL Total Access is the station's signature show, which airs six nights a week. This channel provides NFL fans with a greater insight ​into the players and league. Tuesday and Wednesday nights they show the best game of the previous week on a show called NFL Replay (in-season only). Available with many streaming services. Watch regional games from top conferences. Mostly limited to college sports. Games sometimes subject to blackouts. Say goodbye to ESPN GamePlan — the cable, satellite and streaming package that allowed out-of-market college football fans to watch up to 15 regional game telecasts each week. Replacing it is ESPN College Extra, a new college sports service that brings hundreds of ESPN3 exclusive live college sports events to the TV. In-depth player and team news. Streaming content can be glitchy. Fox will continue to televise the NFL on Sundays. Other than that, you should get a local college football game of the week in most markets. Where Fox excels is with their regional FOX Sports Networks. Every weekend you can expect to see one if not two-to-three games. You might even be able to watch games on one of the out-of-market Fox Sports Networks, like Fox West Coast if you live on the East coast. Lots of sports content in one package. Not the most popular for pro football fans. Streaming interface is not intuitive. ESPN offers an abundance of college and NFL games this year on ESPN, ESPN2, ESPNU, ESPN360 and affiliated cable channels. ESPN remains the home for Monday Night Football. Latest news on players and teams. NBC features the NFL Sunday Night game of the week. NBC also presents a limited number of Thursday-night games.